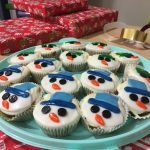 With Christmas just around the corner, the communities we work with have been busy getting into the festive spirit with events, gatherings, decorations and even a bake off! 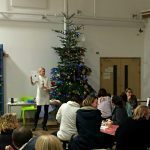 Christmas is the perfect opportunity to bring together residents and Preim’s community mobilisers have been doing a wonderful job of achieving just that. Read more about how Christmas has been celebrated at Preim-managed developments: Tadpole Garden Village in Swindon; Kilnwood Vale in Horsham, and Monksmoor Park in Daventry. 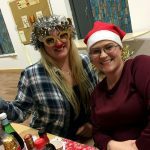 Preim’s community mobiliser at Tadpole Garden Village, Chris Tanner, recently teamed up with residents Leanne and Laura to kick-off Christmas with a festive evening of fun on Tuesday 19 December. Gathering at the Tadpole Farm CE Primary Academy, in the heart of the Swindon development, residents came to enjoy quizzes and games, along with gifts, goodies and a chance to have a catch-up. 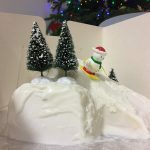 Importantly, though, the event also saw Simon New (customer account manager at Preim) announce the winner of the community’s festive bake-off! 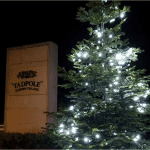 Tadpole Garden Village also looks the festive-part with Christmas trees dotted around the development, thanks to the Community Interest Company, Crest Nicholson and Preim. 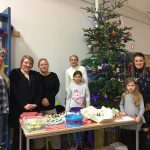 Some residents even got into the Christmas spirit early with a Christmas shopping evening at the primary school late in November – offering a chance for residents to buy gifts from local businesses and enjoy mulled wine and mince pies. 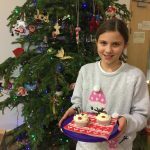 Following on from a very successful Autumn Fun Day in late September, Kilnwood Vale residents gathered again for a festive get-together on Thursday 14 December. It was a bitterly cold night but 60 hardy soles turned out at the development’s green space to enjoy mince pies, mulled wine and gingerbread men. Reverend Kath Jones, the Methodist Minister for the parish, led the carol singing. A huge ‘thank you’ goes to Kath and members of the church choir who attended. On hand to pour the mulled wine and hand out mince pies were Sarah New and Anna Grimshaw, who is Kilnwood Vale’s newly appointed community mobiliser. Watch this space for a welcome piece for Anna, along with a little more about her and how she hopes to help foster a great sense of place and community at the Horsham development. With this being the first festive event for the new community, it’s hoped that it will become an annual occasion. On Saturday 2 December, Monksmoor Park residents came along for their Christmas tree light switch-on. The event saw Kerri Grice, sales advisor at Monksmoor Park, switch on the 12ft tree’s lights and officially open the development’s new play park. A candy hunt around the park, plus plenty of mince pies and hot chocolate, made it a magical afternoon for residents and their families. The play park’s opening marks the second of the year, with the development’s other play area – Daisy View – celebrating its ribbon-cutting earlier in the summer. Both play parks reflect Crest Nicholson’s ongoing investment in the new community at Monksmoor Park. Throughout 2017, the communities we have worked with have enjoyed many different events and milestones. 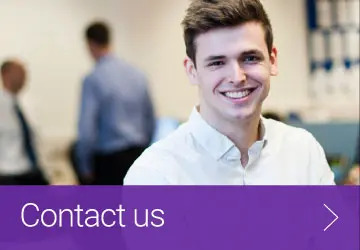 It’s been wonderful to see residents coming together and development’s really starting to foster a sense of community: making the likes of Kilnwood Vale, Monksmoor Park and Tadpole Garden Village places which people are proud to call home. With each of our development’s getting into the Christmas-spirit, we wanted to wish the developers, residents and partners we have worked with throughout 2017 a very Merry Christmas and a Happy New Year.